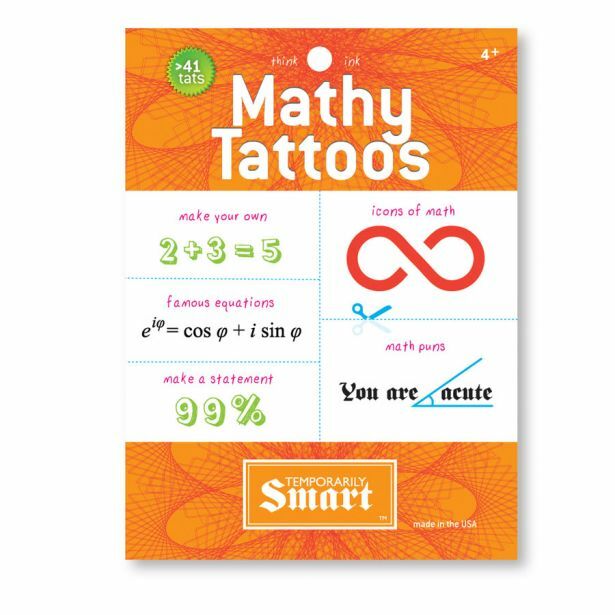 Mathematics and Ink combine! Let your inner Newton, Pythagoras and euler out. 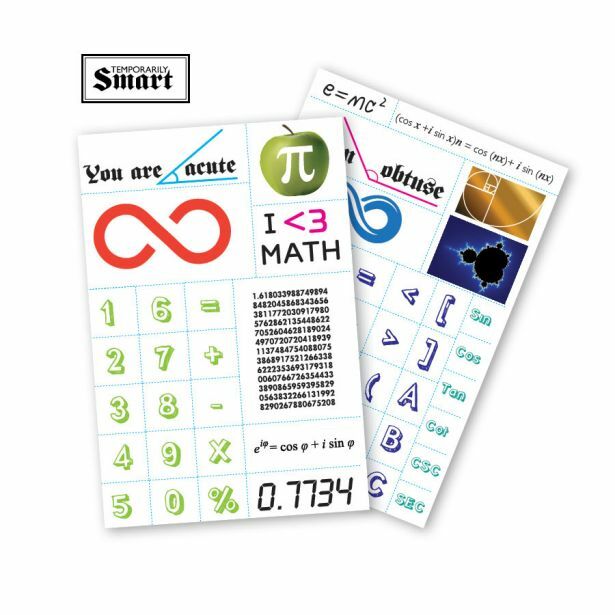 make your own equations, display math puns, and math icons from this smart set. More than 40 fun tattoos on 2 4x6"sheets.